Q1 : How much does it cost to use the JREC-IN Portal? Q2 : I can't sign in. Q3 : Can I view job information that has expired? Q4 : What are the categories of job types? Q5 : I want to use the contents. Q1 : I forgot my password. Q2 : The search (matching e-mail settings) returns unrelated information. Q3 : Matching e-mails are not delivered. Q4 : I no longer receive matching e-mails. Q5 : I want to stop receiving matching e-mails. Q6 : I want to change my e-mail address and institution. Q7 : I want to change my job applicant information. Q8 : An error message appears when I try to change my job applicant information. Q9 : I signed in because I received an expiry notification, but I received another expiry notification. Q10 : Although I am not looking for a job, can I use e-learning? Q11 : What does "[非公開]" mean in job title? Q12 :What is an agent? Q13 : Why are you recruiting privately? Q14 : Can anyone use web application function? Q15 : I registered myself from the English page. I cannot apply for job postings using web application function in the Japanese web page. Q1 : How do we publish job postings? Q2 : I forgot my password. Q3 : I forgot my Recruiting Institution ID. Q4 : I want to change the information of my account, such as the name of institution, responsible person, address, e-mail address, etc. Q5 : I moved to another institution. Can I still use my current Recruiting Institution ID? Q6 : When will job postings that I requested be registered (corrected) be visible? Q7 : I want to check/make changes to a job posting for which I requested registration/correction. Q8 : Who should post a job posting for joint research? Q9 : An error message appears when I click "Confirm" after entering the job posting. Q10 : I inadvertently registered and made public the job posting information in the JREC-IN Portal before gaining an internal approval. Can I change the date of publication? Q11 : What is the function of the JREC-IN Portal Web application? Q12 : What should I do if there is a document that cannot be accepted by electronic means for the job application? Q13 : We have a policy not to accept any application other than those applied using the form specified by the recruiting institutions. In such a case, can we use the JREC-IN Portal Web application or other electronic application means instead? Q14 : After we posed job posting information on JREC-IN Portal, we found it was also posted on other recruitment sites? Please tell us why? Q15 : What does "Provision of job posting to affiliated institutions" mean? Q1: How much does it cost to use the JREC-IN Portal? A: All services are free of charge. Q2: I can't sign in. A: Please check the URL. --> Click "Sign-in" in the "User Menu" on the right side of the JREC-IN Portal top page or on the URL above. Then enter the e-mail address and the password you registered, which should be in single-byte alphanumeric characters. -->Click "Recruiting Institution sign-in" in the "For Recruiting Institutions" on the right side of the JREC-IN Portal top page or on the URL above. Then enter the Recruiting Institution ID and the password you registered, which should be in single-byte alphanumeric characters. - Check if any spaces were left between characters in your ID. Q3: Can I view job information that has expired? A: You cannot view the job posting that has expired, except the case that the Recruiting Institution viewing their own job postings. * We recommend saving a copy of the job posting you applied for. Q4: What are the categories of job types? A: Please check the List of job type. Q5: I want to use the contents. (1) Please use: "View contents" under "Top page." (2) You can select the tab at the bottom of "View contents" to change the category of contents to be displayed. (3) Click the "more" link to view more information. Q1: I forgot my password. A: We will issue a new password. Click "Forgot your password?" at the lower right of the "User sign-in" screen from "Sign-in" under "User Menu" on the right side of the JREC-IN Portal top page. Click "Submit" after entering the e-mail address you registered, and the URL for a page to enter your new password will be sent to the e-mail address registered in User information. Please access the URL within three days to register your password again. Q2: The search (matching e-mail settings) returns unrelated information. A: Use the "search by keyword" on the search screen or (matching e-mail settings) screen. On the search screen, you can use it under the "Multiple conditions" tab. You can combine multiple search conditions: "Include all keywords," "Include any keyword," "Do not include keywords." For example, you can get the results include "information" but except "personal information" by setting "information" into "Include all keywords" and "personal information" into "Do not include keywords." Q3: Matching e-mails are not delivered. A: Please check your conditions for receiving matching e-mail are appropriate. - Is the "E-mail reception" selected as "Receive" on the matching e-mail screen? - The conditions might be too strict. Please check your conditions for receiving matching e-mail with the matching sample. * E-mail will not send if there is no new or updated publication of job postings that matches your conditions for receiving matching e-mail. - The multiple keywords must be separated by spaces. - The matching e-mails might be in junk box of your e-mail software. Q4: I no longer receive matching e-mails. A: The period for receiving matching e-mails may have expired. Matching e-mails will be sent within five years from the last update of the matching e-mail settings. Please set the matching e-mail settings again. Sign in from "Sign-in" under "User Menu" on the JREC-IN Portal top page and click "Matching e-mail settings." Please check if the "E-mail reception" is selected as "Receive" on the matching e-mail screen. Q5: I want to stop receiving matching e-mails. A: Sign in from "Sign-in" under "User Menu" on the JREC-IN Portal top page and click "Matching e-mail settings." Select "Do not receive" from email reception and click "Confirm." Check the conditions on matching e-mail and click "set." * Please note that the process will not be completed until "Set" is clicked. Q6: I want to change my e-mail address, current institution, etc. A: You can change them manually. Sign in from "Sign-in" under "User Menu" on the JREC-IN Portal top page and click "Change e-mail address" or "Update basic information" under "User Menu" to change them. Q7: I want to change my job applicant information. A: Sign in from "Sign-in" under "User Menu" on the JREC-IN Portal top page and click "Register/Update" under "Personal information to recruiting institutions (for job applicants)" under "User Menu." Make the correction to be made, and click "Confirm" and "Register." The job applicant information will be published for another one-year period. Q8: An error message appears when I try to change my job applicant information. A: If the message "An invalid character has been found in ***." is displayed when updating your job applicant information, it is possible that tabs with certain character spacing (spaces) are included in the item of ***. Check the applicable items and correct/delete them as necessary. Copy the text from the applicable item and paste it into a Word or other file, then the position and presence of tabs (or spaces) can be easily identified (use a setting that displays all editing symbols). Q9: I signed in because I received an expiry notification, but I received another expiry notification. - Click "Sign-in" at the top of the JREC-IN Portal top page or in the "User Menu" on the right side of the screen. - Enter the e-mail address and the password in single-byte alphanumeric characters that is registered in User information, and then click "Sign-in." - When your name is displayed beside the JST logo in the upper-right of the screen, you have signed in properly. A2: You might have more than one registered account. Please check the e-mail address to which the expiration notice was sent. Please terminate accounts that you are not using. Q10: Although I am not looking for a job, can I use e-learning? A: You can view e-learning materials even if you do not want to seek a job. You can also use it without user registration/login. Q11: What does "[非公開]" mean in job title? A: The term "[非公開]" in job title is for recruiting information (hereinafter "non-public recruiting information") that are seeking applicants without posting on websites, paper media, etc. for various reasons. The main recruiting organizations are private companies. In JREC-IN Portal, in cooperation with the agent with a proven career support of research talent, we publish some of non-public recruiting information owned by those agents. For details of their non-public recruiting information, please contact the agent providing the information. *In some cases, agents may treat the recruiting information that is open to the public as private. In that case, the agent possesses its own additional information. < You can view the posting information in JREC-IN Portal by entering "[非公開]" by keyword search. However, they are written only in Japanese. You can search them from the Japanese page. *Please note that non-public recruiting information may be duplicated among agents. *In order to know details of non-public recruiting information, it is necessary to register with the agent providing the information (you need to submit job application). Registration to the partner agent is free, but please register at your own responsibility and judgment. *JREC-IN Portal provides non-public recruiting information provided by the agent, but JREC-IN Portal does not provide placement service. Q12: What is an agent? A: An agent is an employment placement service provider (recruitment company) who are licensed by the Ministry of Health, Labor and Welfare. They support job change and job hunting activities of job seekers, and support recruitment activities of recruiting organizations. In order to gain detailed information on non-public recruiting information held by the agent (hereinafter "non-public recruiting information"), it is necessary to register with the agent (you need to submit job application). Registration to the partner agent is free, but please register at your own responsibility and judgment. Please note that registration with the agent does not necessarily ensure an application to or employment by the desired job. Q13: Why are you recruiting privately? A: The recruitment agency may recruit personnel in private for various reasons. The followings are examples. In order to prevent leakage of information from the recruitment information such as recruitment of staff for new business or new project that they want to keep confidential to competitors or recruitment of replacement staff in key positions. In case of the recruitment with good conditions, there are some cases where the application is concentrated and rush to the extent that it interferes with the selection process. As a preventive measure, non-public recruitment may be carried out privately. Q14: Can anyone use web application function? A: User registration is required when using web application function. 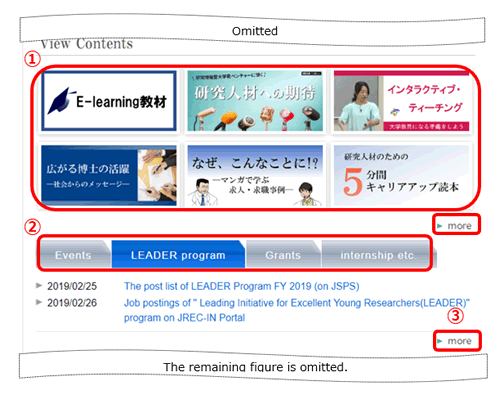 *If you registered from the English page, you cannot apply for Japanese job postings using web application function. New registration is recommended from the Japanese page. Q15: I registered myself from the English page. I cannot apply for Japanese job postings using web application function. A: Please make a new registration from the Japanese page. Q1: How do we publish job postings? A: First of all, you need to register as Recruiting Institution. Please register from "Recruiting institution registration (free of charge)" on the right side of the "page for Research Institutions"(https://jrecin.jst.go.jp/offer/OrgTop). Job postings can be registered with the Recruiting Institution ID (10-digit ID starting from "A": A*********) and the password issued after registration. Click the "Recruiting Institution sign-in" in the right of the "page for recruiting institutions." Please send any questions about registration to the JREC-IN Portal secretariat at jrecinportal@jst.go.jp. The language of job postings can be set as "Japanese only," "English only" or "Both Japanese and English." However, if you use English language screen when registering as Recruiting Institution, you can register your job postings only in English. Q2: I forgot my password. Click "Forgot your password?" under "Recruiting institution sign-in" on the right side of the "page for Recruiting Institutions" (page for recruiting institutions.) Click "Submit" after entering the Recruiting institutions ID for sign-in. The URL for a page to enter your new password will be automatically sent to the e-mail address that is registered. Please access the URL within seven days to register your password again. Q3: I forgot my Recruiting Institution ID. A: Please contact JREC-IN Portal secretariat<jrecinportal@jst.go.jp>. Please inform us of the registered name of responsible person, institution, department and e-mail address to confirm your identity. Q4: I want to change the information of my account, such as the name of institution, responsible person, address, e-mail address, etc. A: You cannot correct it by yourself. If you need to correct the information, send an e-mail message containing your Recruiting Institution ID (10-digit ID starting from "A": A*********), name of responsible person (full name), and the changes to be made to the JREC-IN Portal secretariat <jrecinportal@jst.go.jp>. You can check the registered information of your account from "View registered information" under "Account information" under "menu for Recruiting Institutions." Q5: I moved to another institution. Can I still use my current Recruiting Institution ID? A: Please register as a new Recruiting Institution with your new institution. Register as a Recruiting Institution at the following URL. Q6: When will job postings be published(updated) to JREC-IN Portal? It may take several days to send the e-mail if the job posting registration (correction) request was made after the office hours of the JREC-IN Portal secretariat or on a Saturday, Sunday or national holiday. If you received an e-mail regarding the request, the job posting will not be published until a reply is made. Be sure to reply to the e-mail regarding the request from JREC-IN Portal secretariat. Q7: I want to check/make changes to a job posting for which I requested registration/correction. A: You can check the contents of the request from "Job postings under request for registration/correction" under "Manage job postings" under "Menu for Recruiting Institutions." However, job postings under those requests cannot be modified. If you need to correct the request, send an e-mail message containing your Recruiting Institution ID (10-digit ID starting from "A": A*********), title of the job posting, and the changes to be made to the JREC-IN Portal secretariat <jrecinportal@jst.go.jp>. JREC-IN Portal secretariat will handle the correction. If you would like to correct it yourself, make the corrections from "Correct job postings / saved temporarily" under "Manage job postings" under "Menu for Recruiting Institutions" after receiving "Notification of Completion of Job Posting Registration to JREC-IN Portal" e-mail that notifies the date of publication. Q8: Who should post a job posting for joint research? A: In principle, the employing institution (the institution that pays the salary) should register the job posting. Job postings with the same details cannot be published by multiple Recruiting Institutions. Q9: An error message appears when I click "Confirm" after entering the job posting. A1: If the message "An invalid character has been found in ***." is displayed, it is possible that tabs with certain character spacing (spaces) are included in the item of ***. Check the applicable items and correct/delete them as necessary. A2: The JREC-IN Portal top page might be opened in another window while registering the job posting. In such cases, registration will be invalidated because you are deemed as being signed out. * After signing in, please avoid opening the JREC-IN Portal top page in another window until registration of the job posting is completed. Q10: I inadvertently registered and made public the job posting information in the JREC-IN Portal before gaining an internal approval. Can I change the date of publication? A: The date of publication will be the first public release date. Please do not change it after publication. If you have registered and released job posting information by mistake, please withdraw it using "Retract" function. In the event that the date of publication is corrected by the correction request, the JREC-IN Portal secretariat may ask you to return it to the initial first public release date or may request cancellation of correction request. Q11: What is the function of the JREC-IN Portal Web application? A: Web application is a system in which job seekers can submit application documents via the JREC-IN Portal site. You can check the web application status on the JREC-IN Portal site. In addition, you can download application documents and monitor selection status. However, the Application Form/Achievements and Activities created by the job applicant on the JREC-IN Portal will not be automatically submitted. Please instruct job applicant to submit the documents as application documents. Q12: What should I do if there is a document that cannot be accepted by electronic means for the job application? A: When posting a job posting information in JREC-IN Portal, please clearly distinguish those electronic documents (electronic data: Word, PDF etc.) accepted by e-mail, online storage, web application, etc. from those documents accepted only by mail etc. For documents requiring an original, there are cases such as not only accepting by mail at the time of application, but also stating that it is possible to submit them by final selection date. In addition, as for the recommendation letters etc. which are essential for submission at the time of application and require strict seal, there is a case of accepting them by mail directly from the professor, etc. who recommended. Q13: We have a policy not to accept any application other than those applied using the form specified by the recruiting institutions. In such a case, can we use the JREC-IN Portal Web application or other electronic application means instead? A: It is possible for the recruiting institutions to accept documents prepared in your specified form by electronic means. In the JREC-IN Portal Web application, it accepts only one attached file. There was a case where it was requested to submit it attaching to the application document as a single PDF file after combining those files filled in the specified form. Similarly, there were cases where the documents were accepted by specifying e-mail or online storage. If there is no format specified by the institution, JREC-IN Portal provide the function to be used to create a file of Application Form and Achievements and Activities. Q14: After we posted job posting information on JREC-IN Portal, we found it was also posted on other recruitment sites. Please tell us why. A: JREC-IN Portal provides part of job posting information to domestic and overseas cooperative institutions based on agreement by the recruiting institutions when registering job posting information to JREC-IN Portal. Please refer to https://jrecin.jst.go.jp/offer/e_renkei_org_list.html for the destination. If it is posted on other sites, please directly contact the site management company. Q15: What does "Provision of job posting to affiliated institutions "mean? A: JREC-IN Portal provides part of job posting information to domestic and overseas cooperative institutions, https://jrecin.jst.go.jp/offer/e_renkei_org_list.html. If there is a problem with offering, it can be excluded from the offer when registering job posting information. If it is the case, please uncheck the checkbox of "Provision of job posting to affiliated institutions" on the "Post new job " screen.